Bob is a welcome breath of fresh air after Lifted. 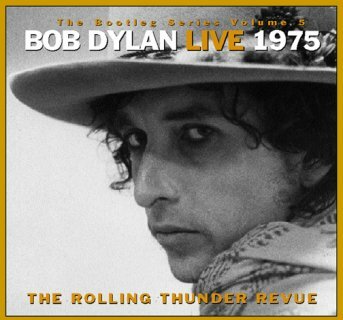 Despite being really fond of the original versions of Bob’s songs, all the jazzed up versions on Live 1975 are fun in a different way. It Ain’t Me, Babe, I Shall Be Released, and Just Like a Woman in particular are transformed very positively. This is my first exposure to the songs from the Desire album, which I don’t own. I particularly love One More Cup of Coffee and Romance in Durango. Like the audience member who shouts his appreciation during the show, I also love the violin player (who supposedly was discovered for the tour just walking down the street with her violin case). Joan and Bob do a better job singing together than in the early days, though to be honest, still not excellently. I have fond memories of drunkenly singing along loudly to this album in Woody’s car as he was driving us home from a party. I usually don’t sing loudly in front of other people, but he was either lucky enough or unfortunate enough to witness it!